The rent at **Fabulous 2 bedroom townhome! ** Apartments ranges from $2,175 for a one bedroom to a $3,500 two bedroom. Apartments in this building are about 10% less expensive than the Turtle Rock average. This is a pet-friendly apartment. This apartment is in the Turtle Rock neighborhood in Irvine. Nearby parks include Canyon Park, Canyon Park and Ralph C Bren Memorial Park. **Fabulous 2 bedroom townhome! ** Apartments has a Walk Score of 13 out of 100. This location is a Car-Dependent neighborhood so almost all errands require a car. 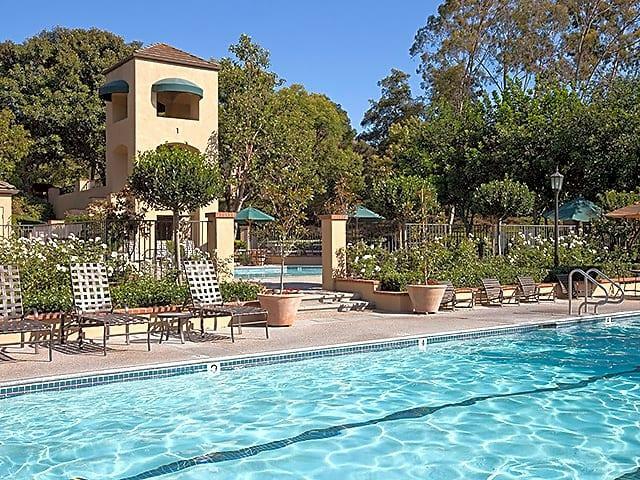 Located among the serene and picturesque rolling hills of Turtle Rock, Turtle Rock Canyon Apartment Homes are reminiscent of a French countryside hideaway. Single-level apartment homes and townhomes are available in five distinct one-, two- and three-bedroom floor plans. Amenities include granite counters,tiled flooring, two-tone paint,in-home washers and dryers, spacious patios, and 1 and 2 car garages. Explore how far you can travel by car, bus, bike and foot from **Fabulous 2 bedroom townhome! ** Apartments. View all Turtle Rock apartments on a map. **Fabulous 2 bedroom townhome! ** Apartments is in the Turtle Rock neighborhood. Turtle Rock is the 20th most walkable neighborhood in Irvine with a neighborhood Walk Score of 19.